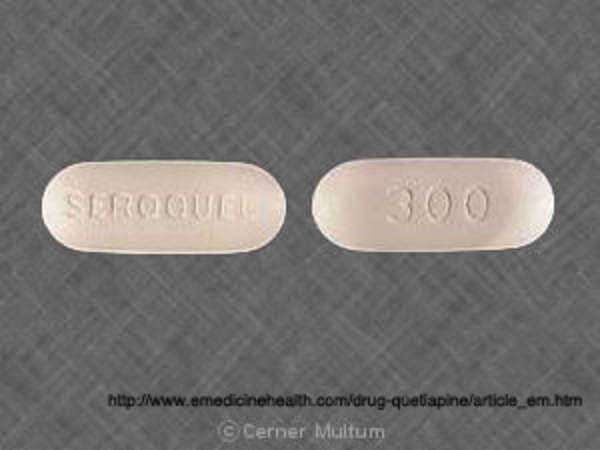 Seroquel is the brand name of the drug Quetiapine, which is a drug that is used to treat mental disorders, particularly schizophrenia and bipolar behavior. Unlike other medications designed to treat these symptoms, Seroquel is slow-release, which is useful to moderate the medication that enters the body. It does however have the effect similar to a sedative, which has been shown to have adverse effects on the body. Generally speaking, Seroquel is largely safe and effective, but only when prescribed at appropriate doses and for the right reasons, with consideration for side effects and label warnings. There is a chance one can be prescribed Seroquel inappropriately. This is generally not an issue with the manufacturer, but rather the pharmacist or medical professional. If you are prescribed Seroquel inappropriately, then are sickened because of it, it is within your rights as a patient to sue for damages. When working on a medical malpractice case related to Seroquel prescriptions, know that the standard to collect damages always involve real damages done to the patient that result from the use of the drug only. Any complications or worsening condition that is found to be independent of the effects of Seroquel will not be used as a standard to collect any forms of damages. Seroquel at one point was prescribed to patients with dementia, including those suffering from Alzheimer’s. Not only was Seroquel found ineffective for the treatment and improvement of cognitive function, but also increased the risk of death for these patients. The FDA has provided no approval for the treatment of dementia with the use of Seroquel. As such, you will be able to make a case for damages if you or a loved one is prescribed Seroquel for dementia and the patient is then injured or harmed while on the medication. The patient is not entitled to collect any damages if they overdose on Seroquel by failing to follow instructions. The instructions and other information must be provided to them at the very least on the label and with additional documentation as needed. The doctor and pharmacist will also explain the use of Seroquel to the patient. The patient cannot be held accountable for incorrect information passed to them by a medical professional and when wrong dosing directions are given, the patient will be able to file medical malpractice against them for prescribing Seroquel incorrectly. Anti-depressants, such as Seroquel are likely to increase suicidal thoughts in younger adults and children and there is a general age restriction on the use of Seroquel for people of this age unless the doctor believes that Seroquel is necessary for treatment and that a combination of other mental issues will not affect the likelihood of suicidal thoughts and other issues. When a minor is affected by the Seroquel medication, you will need to speak with a Seroquel to determine to what extent certain risk factors could have been mitigated, as well as the likelihood that the harm could have been avoided. As is the case with all medical malpractice issues, the damage don’t by Seroquel must be directly related to the interaction of the medication with risk factors and not unrelated complications. There is a general obligation of the patient to inform the doctor of certain risk factors and other issues that might preclude the prescription of Seroquel. This includes recent surgery, pregnancy and family history of disease. The doctor still however, has the obligation to check for notable risk factors, run necessary tests and take all other reasonable measures to ensure that side effects and other factors will not occur when dosing Seroquel for mental issues. There are some grounds to pursue litigation, especially for patients with dementia or those that had had severe side effects caused by the medication. When discussing the legal matter with the Seroquel attorney, you will have to disclose the measures taken by the doctor to determine the safety and suitability of Seroquel for your symptoms. You will also note the instructions provided to you for the proper dosage, if any. That is the most important factor in determining fault for an overdose. You will also need to account for the damages done to you, though there might not be enough time remaining in the consultation. Should you accept legal services, be prepared to account for damages to be sought at a later date. What you collect varies on the determined negligence of the other party. The Seroquel can help you anticipate what you will collect but this is never a guarantee. A number of attorneys will specialize in litigation over certain medication, such as Seroquel. If possible, work with these experienced attorneys on that matter. Seroquel attorneys will be well aware of similar cases and have better benchmarks for acceptable compensation. The easiest way to find Seroquel attorneys will be to use the internet but if you need local results, contact the state or local bar association for more information about lawyer referral services and directories to find a Seroquel attorney.